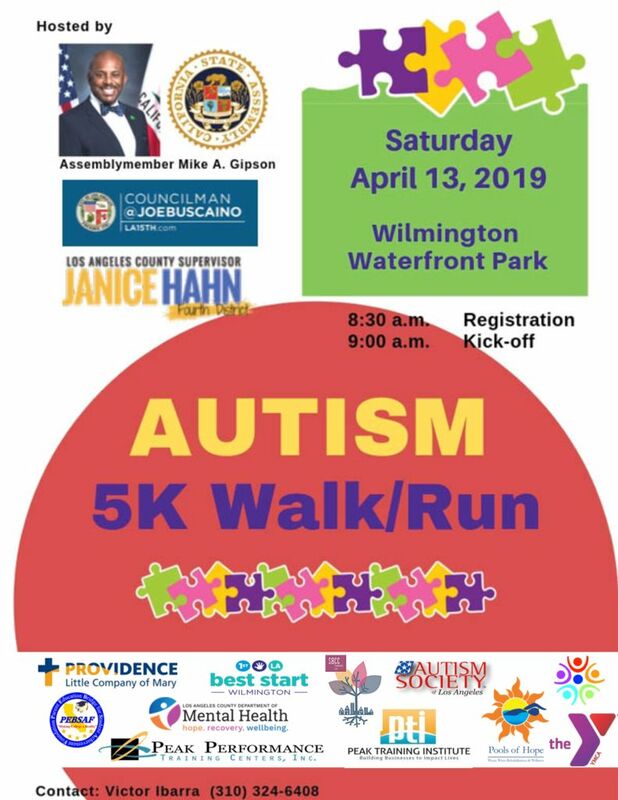 On behalf of Assemblymember Mike Gipson in partnership with County Supervisor Janice Hahn, Councilman Joe Buscaino, and LD South Superintend Romero we invite you the 1st Annual 5K Autism Run in Wilmington. We will see you on April 13 at 8:30am at the Wilmington Waterfront park! We ask that you register on our Eventbrite page.